Today we’ve got a special deal for you on a beautiful chandelier designed by Suzanne Kasler for Visual Comfort. 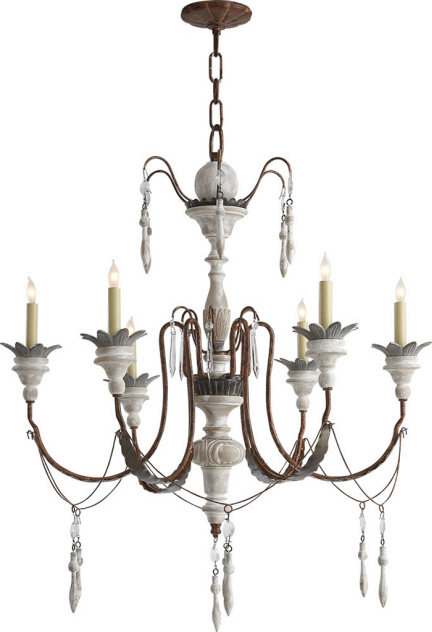 The Small Percival Chandelier in natural rusted iron and wood is a 6 candelabra fixture. Regularly available for $1198, we’re offering it this week for $899. Our fixture is the small version, but here is an inspiration photo of how Suzanne Kasler used the Large Percival fixture in one of her interior designs.